Dr Hicks is a graduate of the University of Texas Medical School at San Antonio and served as the President of the Class of 1977. He completed his general surgery training at the University of Louisville under the supervision of Dr Hiram Polk. He fulfilled his Colon and Rectal Surgery Fellowship at the Ochsner Clinic, New Orleans, and has served as Colon and Rectal Surgery Fellowship Director at Ochsner Medical Center. He has vast surgical and endoscopic experience and has been named to Best Doctors in America generally and for cancer. He presently holds the position of Vice-Chair, Division of Colon and Rectal Surgery at Ochsner and is Clinical Professor of Surgery at the LSU School of Medicine. Currently he serves as President of the American Society of Colon and Rectal Surgery. He is Past-President of the American Board of Colon and Rectal Surgery, Chairman of the Oral Examination Committee for the American Board of Colon and Rectal Surgery, and member of the Editorial Board of the Journal of Colon and Rectal Surgery, the FDA Committee on New Surgical Inventions and the Appeals Committee of ACGME. He represents the American College of Surgeon and the American Society of Colon and Rectal Surgery on Socioeconomic Issues and Healthcare Reform. 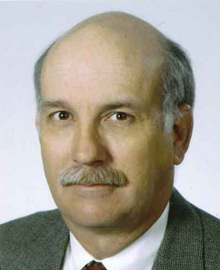 Dr Hicks has contributed to multiple surgical textbooks, and is author/co-author of more than 100 surgical publications.